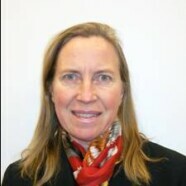 Reba Beeson, Vice-President, has over 20 years’ experience in the practice of both law and investment banking. She has advised a broad range of businesses, arts and other nonprofit organizations. At Pitney Bowes, where she served as Senior Tax Counsel and Director of Structured Finance, its investment team garnered the Deal of the Year Award from International Finance Review for an innovative cross-border leasing transaction. Ms. Beeson received an LL.M. degree from New York University School of Law and a J.D. degree from Temple University School of Law, where she served as Executive Editor of The Temple Law Review. She completed Harvard Business School’s Executive Management program in Corporate Venturing and has authored several professional publications. Ms. Beeson also serves on the board of The Greenwich Symphony Orchestra’s Chamber Players, and she is Secretary of the Church Council for Second Congregational Church and a member of the Town of Greenwich’s Representative Town Meeting.